Raising funds for business remains the greatest challenge to entrepreneurial development, the world over, especially in developing countries. As a result, many potential sole proprietors are perpetually struggling with how to translate their business ideas into reality, while some have resigned to fate. Unfortunately, so many budding entrepreneurs are not aware that there are various avenues open to them to access funds for their businesses. In this volume, Chris Egbu draws on personal and corporate experience to highlight several options available to entrepreneurs to attract start-up capital. This self explanatory volume outlines both the popular and unpopular, formal and informal means of raising finance for an entrepreneurial adventure. For each chapter, Egbu introduces, explains and expounds a major solution to the constraint and at the end offers some critical questions for the reader to evaluate their understanding of the principles. 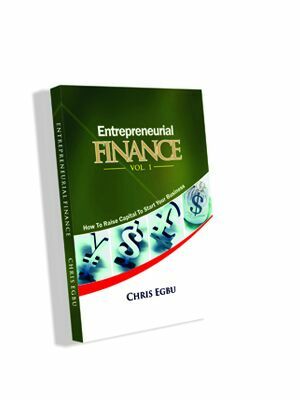 Laden with pieces of advice from the author and other renowned and experienced business people, Entrepreneurial Finance presents entrepreneurs with a bouquet of options through which they can obtain, maintain and grow their businesses. This Book greatly bridges the gap between corporate and start-up Finance and thus creates more entrepreneurs locally and globally. This book has really shed light into sourcing for fund to start a business and ways in which the funds can be managed. It is highly recommended for those eager to be entrepreneurs, but are held back by lack of money, and student taking courses on entrepreneurship. It is equally useful to practicing entrepreneurs that want to expand the scope of their present operation.